He was making reference to the acting Western Regional Chairman, Francis Ndede Siah, and Freddie Blay, the Acting National Chairman. This comes almost four years after his infamous “Yen Akanfuo” – We Akans – political gaffe. At various places in the region, Nana Addo, who sounded very dejected, specifically pleaded with the people of the Western Region to vote for him, saying; “I need your help …I need your help” adding this is the third time I am venturing into the contest. On one occasion, he particularly asked the Nzema people to vote for him saying, “try me, try me too and see and I know that as long as is God above, I will never disappoint you here in Ghana”, he said. Ironically, the same NPP flagbearer, together with some supporters, had accused and condemned President John Dramani Mahama, of making tribally-charged comments in the Northern Region, ahead of the 2012 general elections. The NPP, believes making significant inroads in the Western Region, Volta Region, and maintaining its dominance in Ashanti and the Akan-speaking areas in the Eastern Region, is the surest bet to the presidency come November 7, 2016. However, Nana Addo’s comment focusing mainly on the Nzema people to capture the Western Region, could be his undoing as there are, Ahanta people, Sefwi people, Fantes and other ethnic groups, who form the resource-endowed region. The three times presidential hopeful, who has started his campaign early by touring some regions attending funerals, parties and church services, made the ethnocentric comment in the Western Region, over the weekend to canvass for votes. His visit comes weeks after his running mate, Dr. Mahamudu Bawumia, went on a similar expedition to some cocoa growing areas, begging for votes in farms. 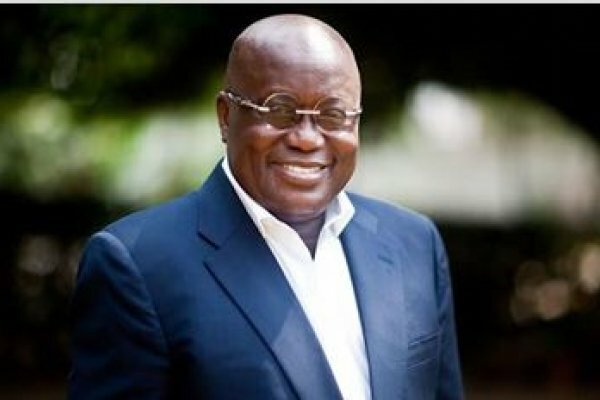 Nana Addo, who attended five separate church services on a single Sunday to campaign for votes during the tour, is heard on an audio tape recording making the rounds, telling the Nzema people, one of the many ethnic groups in the region that, he now has their son as the NPP Chairman, and so they should reciprocate the gesture by voting massively for him. The event was a mini rally in one of the Nzema towns with Acting NPP National Chairman, Freddie Blay present. The tape, which has since gone viral, had party enthusiasts cheering the flagbearer on, as he made his submission saying, “This year, I am going with you, the Nzemas, I am going with you all through. Western Region, you have an Nzema as party chairman. National chairman, it is an Nzema who is leading [the NPP] so I need your help. You have to do all you can to help us win political power”. The NPP flagbearer, worshipped at Bethel Methodist Church in Takoradi, the Dunwell Methodist Church, Assemblies of God, Good Shepherd Anglican Church, Church of Pentecost (Police Station Assembly) and the Presbyterian Church all in the Effia-Kwesimintsim Constituency. On the tape, Nana Addo, pleaded with the supporters in the meeting to believe him and support him wholeheartedly for victory. He pleaded “Most importantly, do have believe in me and support me. This is the third time am contesting this position, he reminded the gathering. Sounding almost dejected, Nana Addo pleaded, “try me, try me too and see and I know that as long as is God above, I will never disappoint you here in Ghana”. Mr. Blay, is known to be a very good friend of the NPP flagbearer. Indeed, Mr. Blay, earned his current position through the instrumentality of Nana Addo after his newspaper; Daily Guide, used Machiavellian tactics by demonizing the elected NPP National Chairman, Paul Afoko, General Secretary, Kwabena Agyapong, and Second Vice Chairman, Sammy Crabbe, among others in the eyes of party folks. Apart from negative stories, they were also subjected to depressing cartoons in the same newspaper. Ahead of their eventual suspension, the party’s Northern Regional chairman, Daniel Bugri Naabu, emphatically stated in a secret recording that the flagbearer does not trust the likes of Paul Afoko, Kwabena Agyei Agyapong and Sammy Crabbe, and so will execute the campaign by sideling them completely. It will be recall that, during last year’s intra party rancor among leading elected executives of the NPP which resulted in bloody clashes, leading to the death of two members, the then national chairman, Paul Afoko, was ousted from his position so was Mr. Agyapong and Sammy Crabbe. The NPP flagbearer who on Monday, February 15, addressed regional and constituency executives of the party at the GNAT Hall in Takoradi, after the 1-week funeral ceremony of the late Ben Kwaw, former acting Western Regional NPP Chairman, charged regional and constituency executives, as well as the party’s parliamentary candidates, to win the majority of popular votes and majority of seats, as this will guarantee an NPP victory in 2016 elections. He noted that in as much as the people of Ghana are looking up to the NPP to win the November 7 election, the entire party, is also looking up to the leadership of the party in the region to ensure that the Western Region, becomes a stronghold of the party, once again. Nana Akufo-Addo, who indicated that the party must honour the memory of fallen patriots like the late Ben Kwaw with victory in the November polls, stressed that the party cannot afford to relinquish a single vote in the metropolis of the Western Region. “Be it in Sekondi, Takoradi, Effia, Kwesimintsim, Essikadu Ketan, Ahanta West, Shama, Mpohor, Wassa, this year, we must get good news from all of these constituencies. If we are to get this, it depends on the hard work we must all do. The hard work means that in every part of the region, we must send the NPP’s message of hope to every Ghanaian voter,” he said. Akufo Addo to legalize homosexuality before 2020 ?